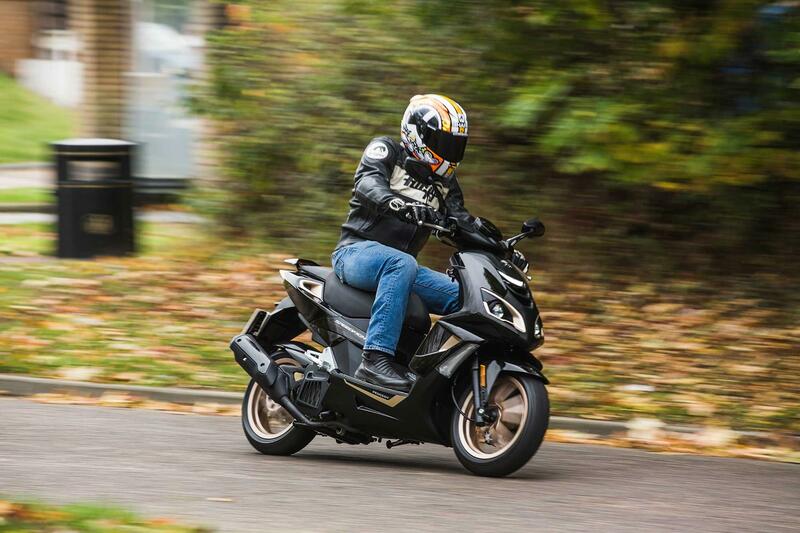 Peugeot's biggest selling scoot is 20 years old and is better than ever! Peugeot pulled the covers off the original Speedfight back in 1997 and it was an instant success – topping the sales charts across the late 90s and into the early 2000s. 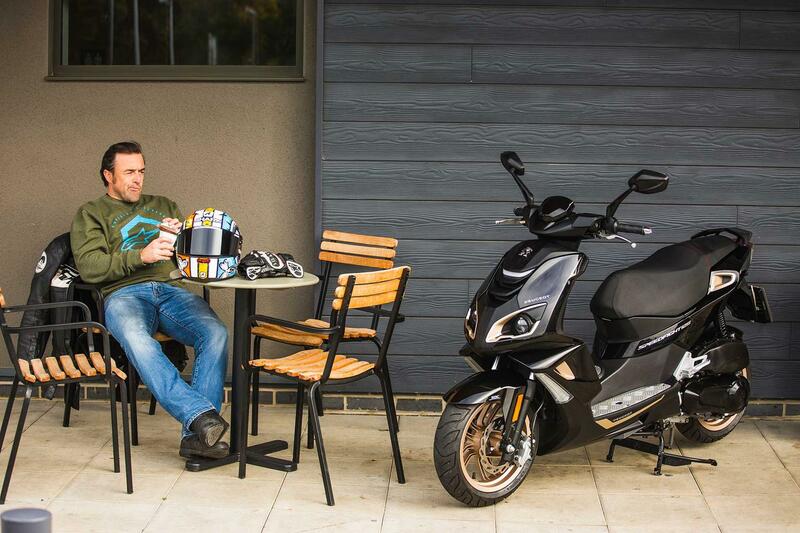 Since then Peugeot have sold more than 600,000 of the 100cc and 50cc scoots worldwide. Now, to mark the 20th anniversary, there’s the fourth generation Speedfight, and best of all it’s available as a 125 for a useful dose of power. 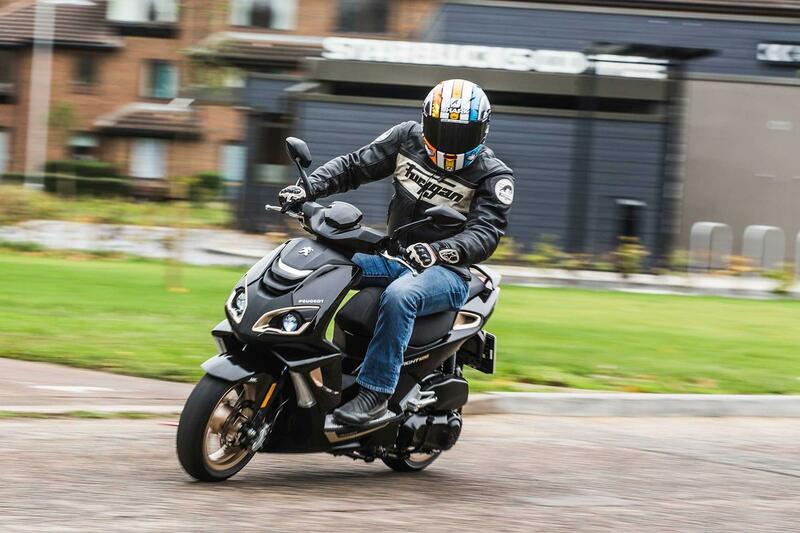 Poll: What’s been your top bike from Motorcycle Live? 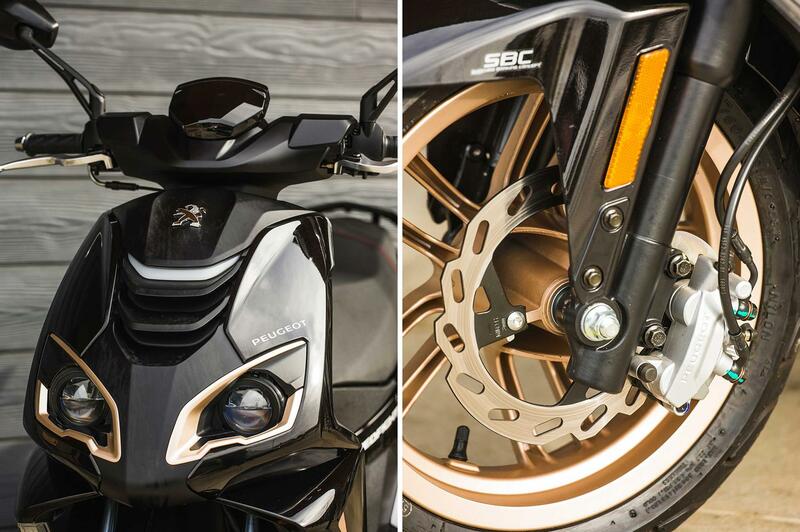 The 2018 Speedfight is powered by the firm’s new SmartMotion engine. 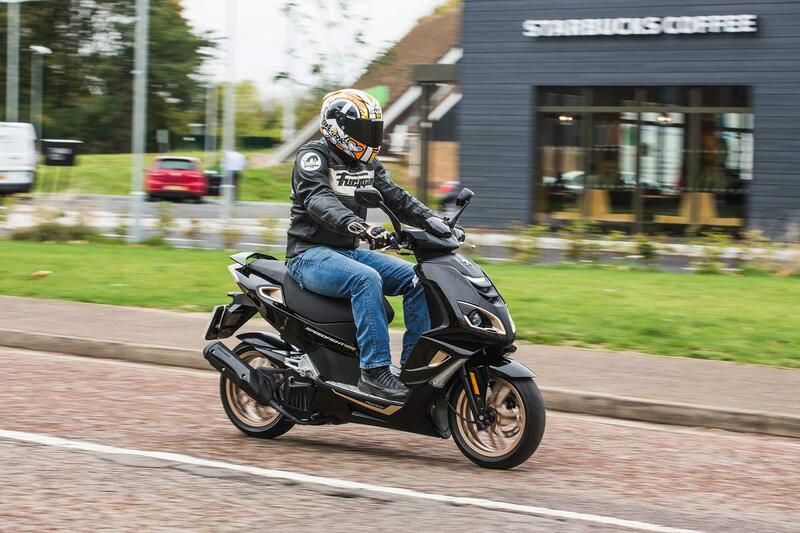 The four-stroke single is liquid-cooled for the first time as well as being fuel-injected – resulting in the most powerful Speedfight to date and the most frugal, too, with a quoted 134mpg. Stopping power has been upgraded with disc brakes all-round and the linked rear (on the left bar) operating both brakes simultaneously, while the front remains independent. 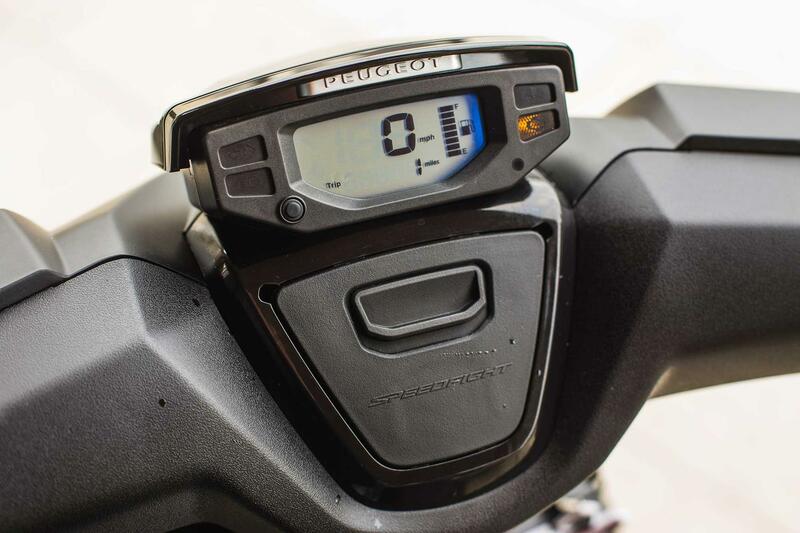 Aside from an attractive design, the latest generation Speedfight features a digital dash with a backlit LCD display and USB socket. 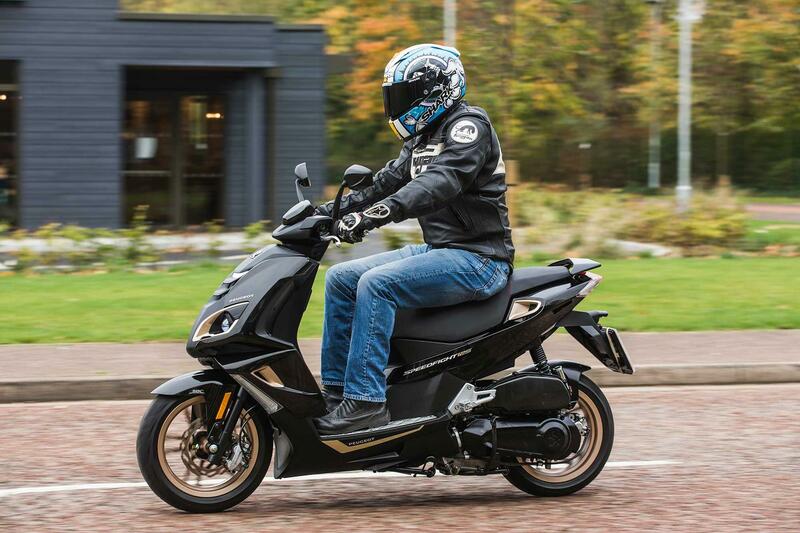 The 125 has the same dimensions as the Speedfight 50, keeping it small and light – and certainly not a maxi- style scooter like Kawasaki’s J125. 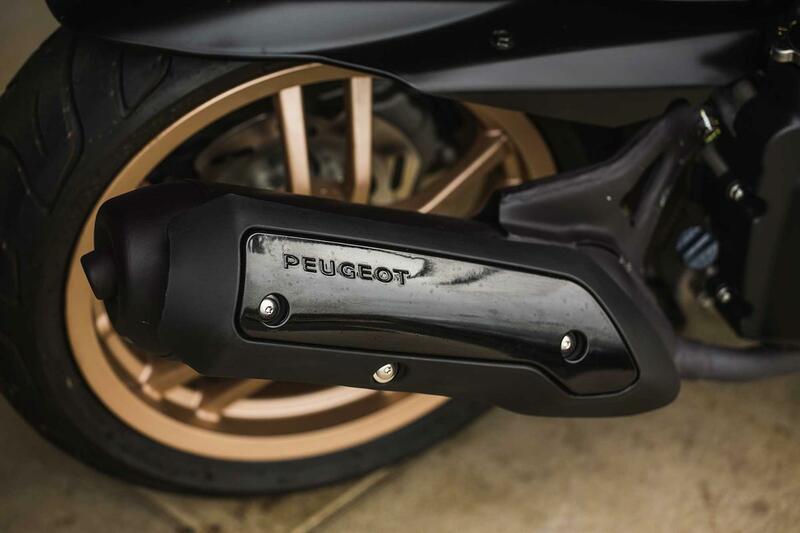 The Peugeot has been designed for city com- muting, making it quick off the mark, ideal for the traffic lights GP, before it runs out of puff at 60mph. It’s nimble too. 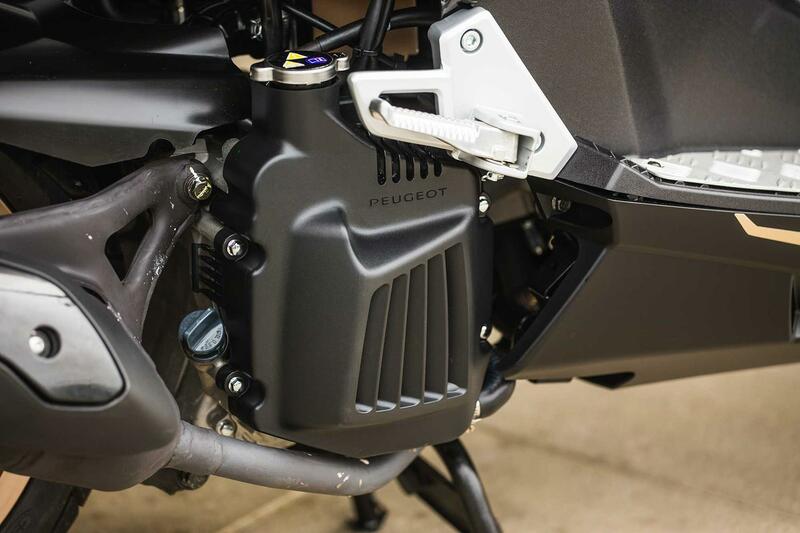 Weighing just 120kg, the 125 is only 20kg heavier than the entry-level 50, making it a doddle to nip in and out of gaps. Thirteen-inch wheels provide quick steering, and the new machine is a joy to slot between cars and squeeze into a crowded bike park. 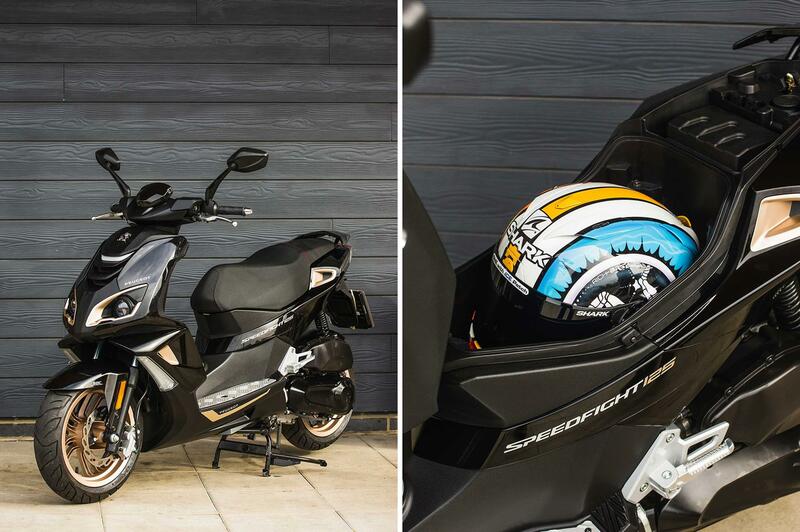 There’s enough underseat storage for a full-face helmet – or a reasonable amount of shopping – while that USB socket is neatly tucked away in a small compartment beneath the clocks. It’s not all good news though. 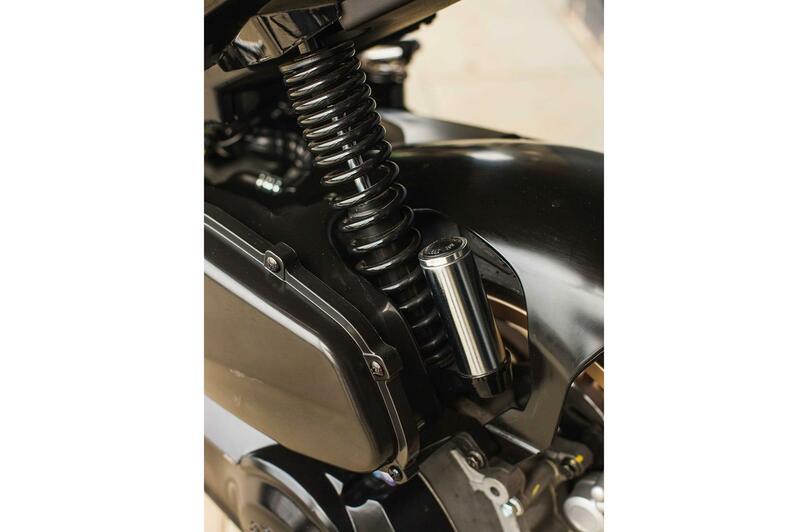 The suspension feels slightly budget, and the small compartment below the clocks isn’t lockable. These are just minor niggles, really. 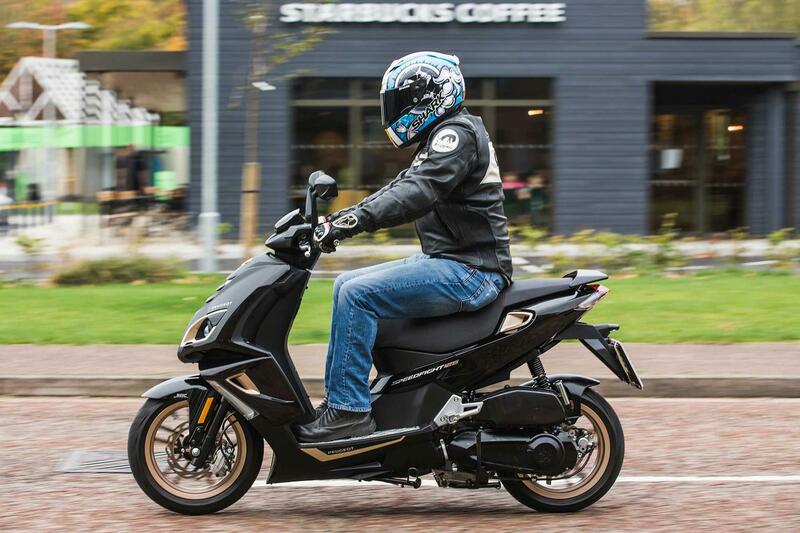 At £2599, including an unlimited mileage 24-month warranty, it’s cheaper than Honda’s basic SH125 (£2654) and significantly less than the maxi-style 125cc scooters such as Kawasaki’s J125 £4099 and Suzuki’s Burgman £3699. I’m impressed.